Unless you’ve been completely off grid, you probably heard about or saw the royal wedding of Prince Harry and our very own Meghan Markle – now the Duke and Duchess of Sussex. The Duchess has a great sense of style. It shone through the color palette of the wedding party. Spring 2018’s dominating color trend is muted, soft, and feminine, featuring light pinks, purples, greens, yellows, and milky whites. The royal wedding photos scream “Trend”! We saw Camilla in pale pink, Meghan’s mother in soft green, and Kate in pale yellow. The Queen was in her trademark vividness (she is, after all, the Queen) in lime green with a splash of dark purple to great effect! Many of the guests also chose to don these muted pastels including Oprah, Pippa Middleton, Serena Williams, and Priyanka Chopra. Not surprisingly, lovely floral patterns were also springing up everywhere. Speaking of flowers, I must admit… the gorgeous floral arrangements blew me away! 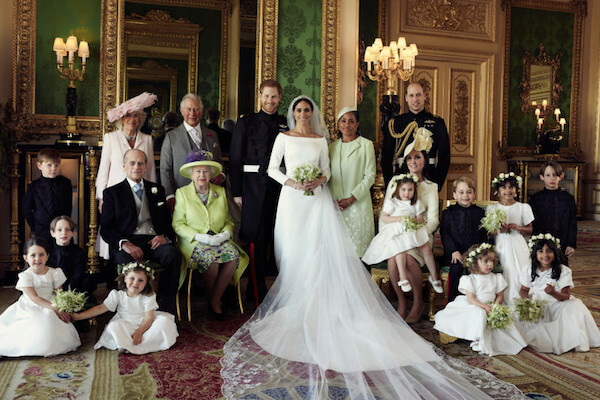 From the stunning floral archway to the bouquets filled with Princess Diana’s favorite flowers, the mix of white flowers and a punch of greenery contributed to the overall beauty. A traditional, yet fashionable affair! What did you think? You can see the picture above and many more on the official Instagram account @KensingtonRoyal.